Dạng so sánh tăng tiến được dùng để diễn tả sự việc tăng dần hoặc giảm dần một cách liên tục. ...er and ...er và more and more được dùng để diễn tả sự tăng dần. Ex: Betty is younger and younger./ Her story was more and more attractive. Less and less được dùng để diễn tả sự giảm dần. Ex: He became less and less interested in politics. Ex: The older I get, the happier I am./ The more dangerous it is, the more I like it. 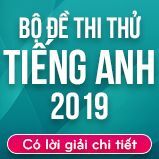 More có thể dùng với danh từ. The more electricity you use, the higher your bill will be. Match a half-sentene from box A with a suitable half-sentence from box B. Finding a job is becoming. (1-c) Finding a job is becoming more and more difficult. (2-e) Travelling is becoming more and more expensive. (3-a) As I waited for my interview, I became more and more nervous. (4-b) That hole in your pullover is getting bigger and bigger. (5-d) As the conversation went on he became more and more talkative. (6-g) The suitcase seemed to get heavier and heavier as I carried it upstairs. (7-f) Her English is improving; it’s setting better and better. His visit to New York seemed to get shorter and shorter because he was very busy at work. Eating and travelling in this city is setting more and more expensive. As the day went on, the weather got worse and worse. We had to stop the discussion because the question was becoming more and more complicated. Your English is OK now. your pronunciation has got better and better. Little John is becoming more and more active. As it was setting dark, it was becoming more and more difficult to see everything in the house without electricity. I feel happy as my birthday is coming closer and closer. Complete each of the following sentences, using the structure: “the + comparative, the comparative . Choose a suitable half-senlcnce from the box. The more you practise your English…………………. The more electricity you use……………………….. The more you practise your English, n span>the faster you will learn. The longer he waited, the more impatient he became. The more expensive the hotel, the better the service. The more I got to know him, the more I liked him. 15. Is the book (interesting) ________________ than the one you read last week? 1. Mary is as pretty as her sister. 2. A new house is more expensive than an old one. 3. His job is more important than mine. 4. Of the four ties, I like the red one best. 5. Nobody is happier than Miss Snow. 6. Today English is the most international of language. 7. John is much stronger than I thought. 8. Benches are more comfortable than arm-chairs. 9. Bill is better than you thought. 10. Mr. Bush is the most delightful person I have ever know. 11. Bill is lazier and lazier. 13. As the conversation went on, he became more and more talkative. 14. As I waited for my interview, I became more and more nervous. 15. Is the book more interesting than the one you read last week? 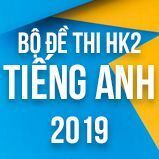 Như vậy là các em đã xem qua bài giảng phần Unit 13 The 22nd SEA Games - Language Focus chương trình Tiếng Anh lớp 12 về chủ đề đại hội thể thao Đông Nam Á. Các em hãy cố gắng luyện tập thêm bài trắc nghiệm Unit 13 The 22nd SEA Games Lớp 12 - Language Focus để ôn tập ngữ pháp. Nếu có gì chưa hiểu các em có thể đặt câu hỏi với cộng đồng Tiếng Anh HỌC247 ở mục hỏi đáp để được giải đáp nhanh nhất. Sau bài học này các em chuyển qua bài học mới Unit 13 The 22nd SEA Games - Vocabulary kế tiếp. Chúc các em học tốt!